In the area of the famous battlefield where Balkan and Osman armies clashed in 1389, 15 dedicated History Educators from all over Kosovo gathered for the 3rd Workshop in the EUROCLIO/SHMHK Project “History Matters”. EUROCLIO Founder and Special Advisor Joke van der Leeuw-Roord presented in great detail the EUROCLIO Manifesto, which was for this occassion translated into Albanian and will soon be available online. Former Director of the Schools History Project, and currently Deputy-President of the Historical Association Chris Culpin dedicated a full day to an inspiring session dealing with source-based learning, but which raised many interesting questions about how to work with propaganda in the class-room. President and Deputy-President of the Association of History Educators in Macedonia, Mr Mire Mladenovski and Mr Besnik Emini joined the meeting and shared their experience and expertise, including the recently launched bilingual online resource “Macedonia in World War One. A Common Approach to the Past”. 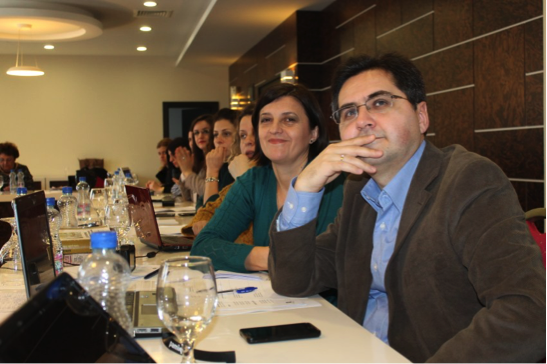 Also the meeting convened a core group of the History Teachers Association of Kosovo, and steps were made to complete a future multi-annual action plan, and apply for official accreditation. Finally, a critical reflection on use of the past was addressed during an on-site learning visit to both the mausoleum of Sultan Murad I, who died in the aforementioned battle, as well as a monument erected in 1953 called Gazimestan.